Back in the day, the idea of having a gaming laptop got laughed at. I mean, why would you want a gaming laptop when you can build a high-end gaming rig for the same price? And why would you want a gaming laptop if its specs are not that great compared to gaming rigs? Well, that is true in the past but technology has evolved through the years. Today, we have competitive gaming laptops that can rival their desktop counterparts. 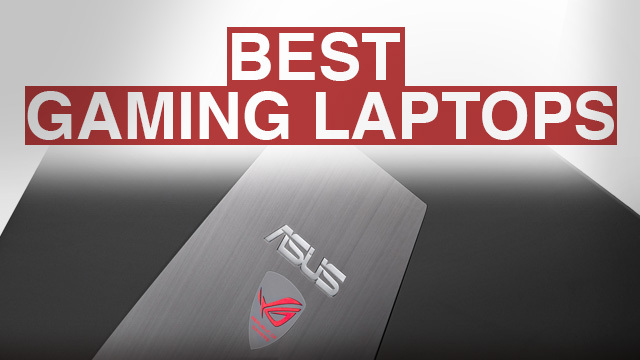 Our pick for best gaming laptop is the Asus ROG Zephyru. Like desktop gaming rigs, you want a gaming laptop that has amazing features. But be ready to spend a lot of money on it because gaming laptops tend to be more expensive than gaming PCs.But then, why would you need a gaming laptop? Actually, there are a lot of compelling reasons to buy a gaming laptop. The first one is portability. Since it is a laptop, you can just carry it with you and you can play anywhere you want. Second, gaming laptops are complete in a way that you do not need to build a gaming machine from scratch. You just buy a gaming laptop, install games, and you can play them immediately. Third, gaming laptops are feature rich and you can use it for other purposes such as doing office work and playing different media such as watching movies and listening to music. The graphics card is the most important component in a gaming laptop. That is because the graphics card handles all of the graphical load and a powerful one allows you to enjoy your games at maximum settings. AMD doesn’t have a powerful mobile graphics card, so you should opt for an Nvidia graphics card in modern gaming laptops. The graphics cards that you will see in a gaming laptop are denoted by an “M” after their part number (for example, GTX 960M, GTX 970M, etc.). There are upcoming gaming laptops that will have the latest Pascal graphics cards from Nvidia. For example, the Asus GL702VM will have a GTX 1060M inside it, which according to benchmarks, outperforms the desktop version of the GTX 970 and it even goes toe to toe with the GTX 980. If you want to save money, buy gaming laptops that have the older generation GPUs (like the aforementioned GTX 970M). You also want to have a gaming laptop that has more than 2GB of VRAM. Most games nowadays require a lot of VRAM because of its amazing graphical details. Aim for a GPU that has at least 3GB of VRAM (like the GTX 1060M). next important thing to look at is the CPU. The processor works in tandem with the graphics card to deliver the necessary processing power to let you enjoy the games that you play. If you are going to be using your gaming laptop for other applications like rendering, you need to have a beefy processor to handle that. Also, there are other games that utilize more of the processor than others. AMD, again, still doesn’t have a competitive processor at this time of writing, so we’ll go with Intel. Now, there are a lot of questions about which processor should you choose when buying a gaming laptop. I highly recommend getting a gaming laptop with a Kaby Lake CPU as it is more powerful and more power-efficient than previous Intel CPUs. On top of that, the most common question asked when looking at the processor is, “should I get an i5 or an i7”? Before I answer that, let me talk about their differences first. The Intel Core i5 processors have 4 physical cores and 4 threads. The Intel Core i7 processors, on the other hand, have 4 physical cores and 8 threads thanks to Intel’s “hyperthreading” technology, which adds another 4 threads for your rig to use. This translates to better performance in CPU intensive games and applications. So, which processor to choose then? In most cases, an i5 should be good enough for most people. But, if you’re using your gaming laptop for other things like rendering, conversion, and any other CPU intensive tasks, then an i7 is preferred. Do note that gaming laptops that have the i7 processor are priced much higher than the ones with the i5, so do take that in mind. Another major factor to consider is the gaming laptop’s display. If you want a good portable gaming laptop, aim to get a laptop with a 15-inch screen or below. But, if you do not mind carrying a bulky gaming machine with you, then a 17 or 18-inch laptop is preferred. Obviously, the one with the bigger screen will give you a more immersive gaming experience but that is at the cost of bulkiness. For me, a 15-inch gaming laptop is great because it has a big enough screen without the heft of a 17 or 18-inch laptop. Another thing to put into consideration is the resolution. This is important: do not get a gaming laptop that has a resolution lower than 1080p. 1080p (1920×1080), also known as Full HD, is the current standard in gaming. You can buy a gaming laptop that has a Quad HD (1440p) or 4K resolution but that will use more battery. A 1080p screen is adequate in most cases. The system RAM is also crucial when buying a gaming laptop. It functions similarly to the RAM used in gaming PCs. You want to get a gaming laptop with at least 8GB of system RAM. If you are using the gaming laptop for purposes other than gaming, then you want to get at least 16GB or 32GB of RAM depending on the applications you’re going to use. For example, if you’re going to be using your gaming laptop for editing, 32GB of RAM is the recommended value. SSDs (Solid State Drives) are commonplace in both gaming PCs and gaming laptops. That is because unlike conventional HDD (Hard Disk Drives), they don’t have a physical platter with a mechanical arm that accesses the data. Instead, the data stored in SSDs are placed inside microchips, thus, vastly improves read/write speeds compared to HDDs. But with great performance comes with a great price; SSDs are much more expensive than HDDs. For the most part, you want to make an SSD drive as your boot drive and a drive for all of your important applications and you want a separate HDD to store all of your media files. Fortunately, there are gaming laptops that have this setup. There are also some gaming laptops that allow you to add an additional storage drive in the future. Since you’re going to buy a gaming laptop, its gaming keyboard and touchpad is also another thing to consider. I’ve come across many gaming laptops that have a horrible keyboard design. What I mean is that its keyboard is not the best to use and some gaming laptops put your hands in an awkward position which results to soreness during prolonged use. Since you’re going to play for hours on a gaming laptop, always make sure to read reviews on a particular gaming laptop you want and always look at the keyboard and the touchpad. Gaming laptops are great because they are portable. That is why you need to have a gaming laptop with a good enough battery life. Aim to get a gaming laptop that can last at least 4 hours before you reach for its charger. The good thing about gaming laptops is that although they priced much higher than their desktop counterparts, gaming laptops come with additional features that you don’t normally see in gaming rigs. For example, there are gaming laptops that come with a mechanical, RGB-lit keyboard. There are also gaming laptops that come with a touchscreen, and so much more. Although they are optional, who wouldn’t want a gaming laptop with the added bells and whistles, right? The Asus ROG Zephyrus is one of the first few laptops to use the Nvidia Max-Q design that fits a mighty GTX 1080 into a slim frame. This gives the Zephyrus its sleek appearance which is usually reserved for notebooks, giving it a lightweight but thermally sound body. 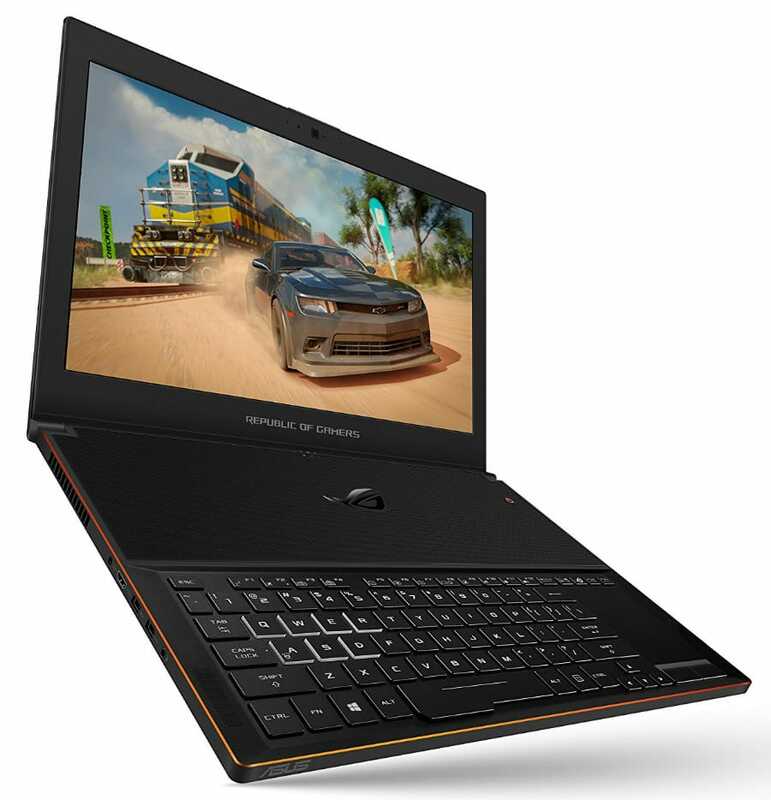 This gaming laptop also comes with topnotch components such as a 120Hz G-Sync-equipped screen, i7 7700HQ processor, 24GB of RAM and a PCIe SSD. The Razer Blade’s latest evolution provides stellar performance by combining a Core i7 processor and a Nvidia Pascal GPU. This 14-inch gaming laptop’s aluminum chassis gives it a classy look while keeping it lightweight and cool. The Razer Blade also features one of the most vivid displays on the market with a class-leading battery life rating to keep you gaming and working on the go. 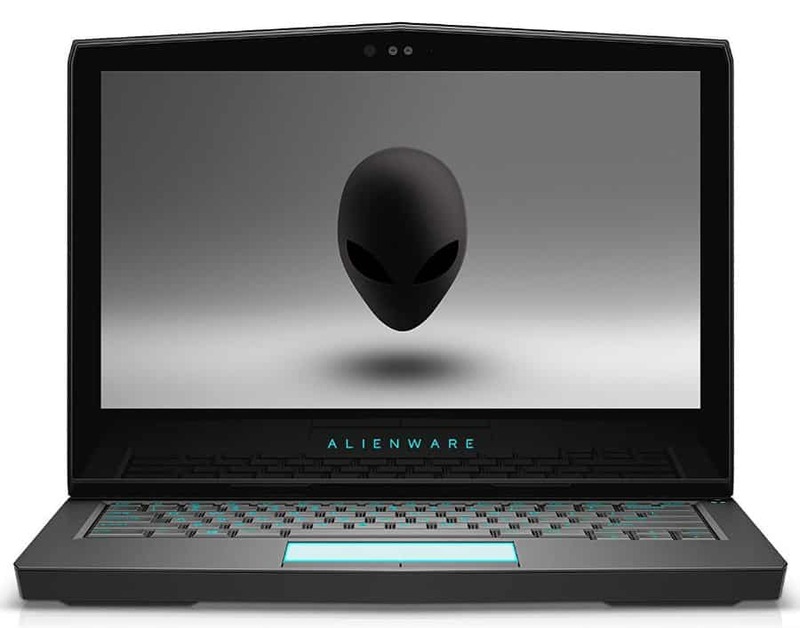 The Alienware 13 is the smallest gaming laptop in this lineup, but that doesn’t mean that it’s the least interesting. This VR-ready device packs a GTX 1060 GPU and a Core i7 processor for smooth gaming performance in an extremely portable package. What beyond superb about this option is its gorgeous OLED display which beats out most monitors and LCD screens when it comes to vibrancy and contrast. 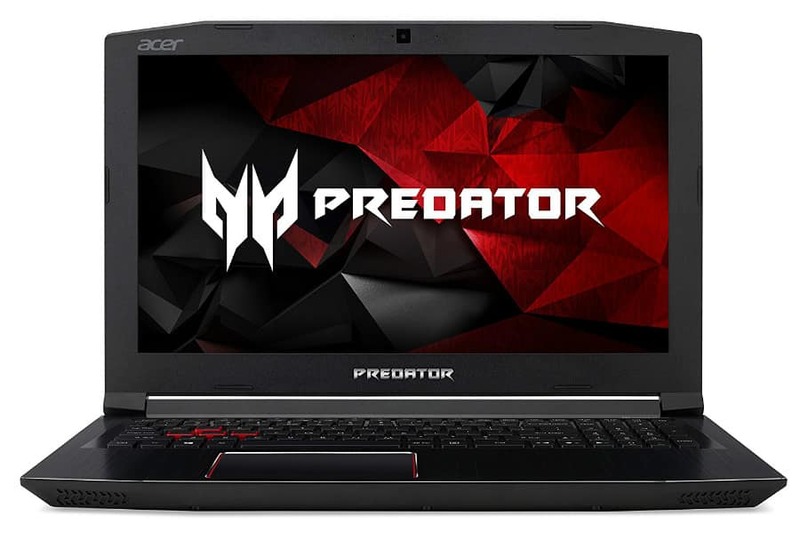 The Acer Predator Helios series is one of the best price to performance options in the gaming laptop segment. The 17-inch version packs a GTX 1060 and a Core i7 processor to power the large screen without sacrificing its impressive 5-hour battery life. The Acer Predator Helios 300 is also one of the few devices that let you upgrade your RAM and storage to extend its usability and performance. 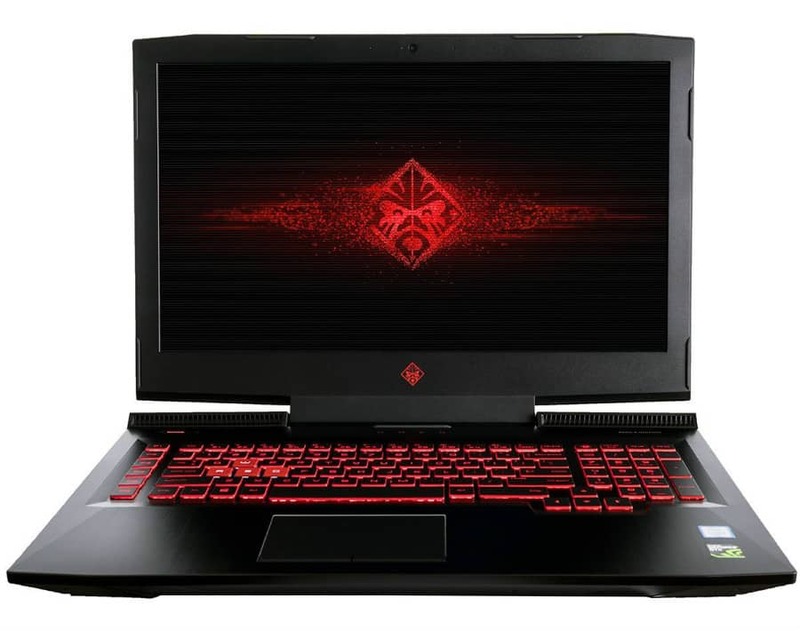 The HP Omen 17 is another practical gaming laptop that comes in a 17-inch form factor with an avant-garde design. The aggressive aesthetics are complemented by impressive hardware such as a Core i7 processor and a GTX 1070 GPU for the best possible performance under $1500. This model also comes with a 4K screen for unrivaled detail and a super-fast SSD for quick booting and loading between games, or snappy response when working. 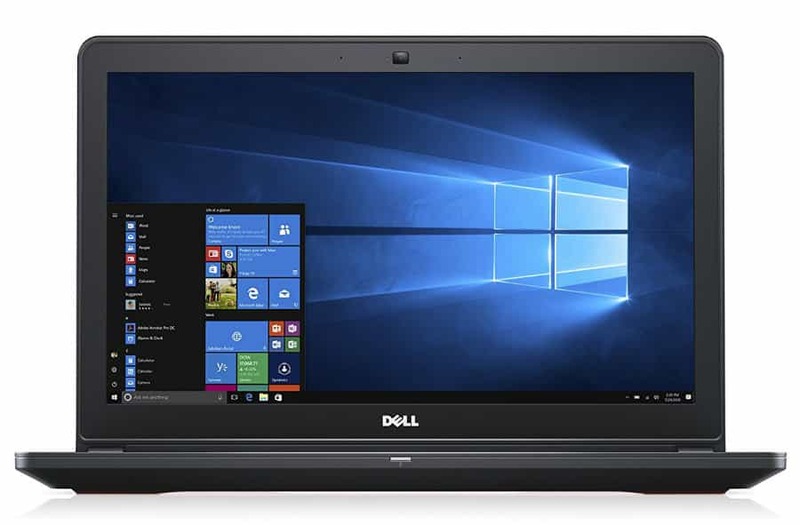 The Dell Inspiron 15 7000 is the best budget gaming laptop that doesn’t break the bank at under a thousand dollars. This gaming laptop features a Core i5 processor and a GTX 1050Ti which are perfect for E-Sports titles while on the go. It also helps that the Inspiron 15 can last up to 7 hours in browsing and document processing, making it a perfect partner for students. A gaming laptop might be pricey but they offer a lot of benefits that you cannot get from a gaming rig. For example, a friend of mine bought a gaming laptop even when he already has an amazing gaming rig. When I asked him why he bought a gaming laptop, he said that he bought a gaming laptop because his work requires him to travel a lot. 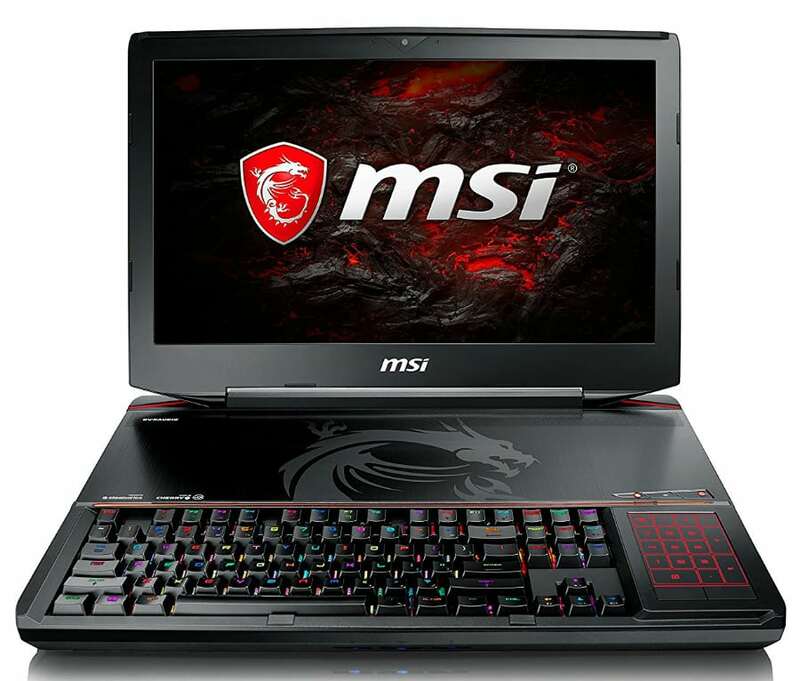 If you want to go to LAN parties, a gaming laptop can be a good option for you. You do not have to bring a heavy gaming rig with you; you just need one great gaming laptop for all of your gaming needs. 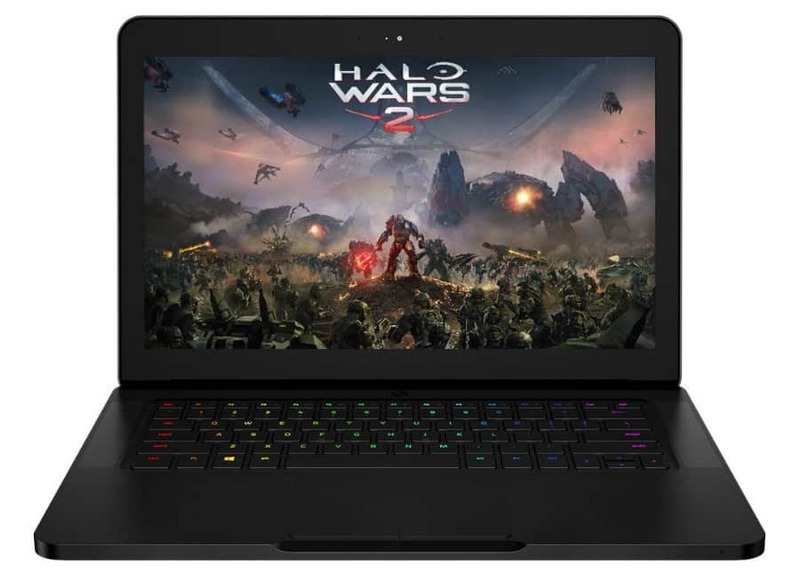 All in all, getting a gaming laptop which combines portability with the ability to work or play games is one of the best investments you can make. Thanks for sharing information i think everyone should read your article before buying.gaming laptop are portable and easy to use. but it should be higher in configuration. thanks for sharing information. its always better to find review before buying a gaming laptop.